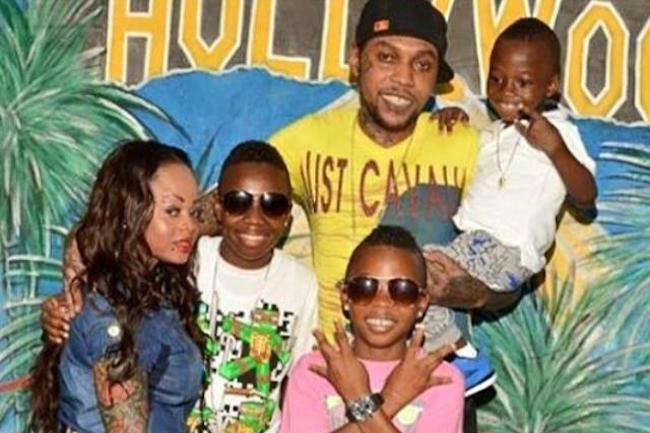 Vybz Kartel is gearing up to release a new single with his son, Likkle Vybz. The father and son duo teams up for “Gully Gaza,” the highly anticipated track would be available as early as next week. However in the meantime who have a preview, “Me in a long talking when mi come in a the street / The way tha chune ya bad them a fi put it on repeat / Me know the chorus me them can’t delete,” Likke Vybz sings over the beat. Gully Gaza will be released under Vybz Kartel‘s label Adidjaheim Records. Likkle Vybz is one half of the Dancehall group PG-13 with his younger brother Little Addi. Stream the preview of Vybz Kartel and Likkle Vybz “Gully Gaza” below.